I am constantly having oddball dreams. Yes, that’s a strange way to start this post, but it’s true. I’ve recently had dreams about playing basketball against Michael Jordan (obviously I won), being waited on in a fancy Italian restaurant by Marc Benioff (Our sales performance platform lives on Salesforce. I ordered the gnocchi with garlic cream sauce) and yes, sales forecasts. I don’t want to get off topic, but in one of the dreams one of my team members and I were being chased by a lion through an African jungle. We hid behind a large boulder to catch our breath. My teammate quickly turned to me and said, “Harttsey – holy *@#! We’re being chased by a lion. Oh hey, by the way… what’s your commit for this month?” I immediately woke up. So why would I be dreaming about my sales forecast? Probably because like most sales professionals, I live and breath this process daily and rely on keeping a tight handle on my sales forecast to be successful in our business. 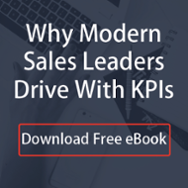 Although organizations from startups to enterprises continue to place significant importance on sales forecasts, these numbers are notoriously inaccurate. It’s a big problem. Most times, sales forecasting is based on happy ears, gut feelings, guesses and wishful thinking. This leads to inaccurate sales forecasts, which leads to missed quarters, which lead to failed startups or big misses for enterprises. Like I said, this is a major problem. More and more companies in a wide variety of verticals are leveraging new sales technology platforms like TopOpps and FunnelSource to help them get more accurate sales forecasting. Technology like this is great. But maybe you’re not in a place yet where you can bring on a full-blown solution. You can still take steps in the meantime to improve forecasts. For one, you can start by asking yourself some questions. Here are 1o that I like to keep top of mind. These ensure I’m prepared for any internal meetings and also providing the most accurate forecast number to my leadership team. Is the company in any position to afford a new solution? Is the company going through an acquisition or management change that could impact the decision of this project? Is there a compelling event that aligns specifically to the launch of our solution at that company? How does this project rank in their queue of priorities compared to the others their team is working on? What obstacles could get in the way of moving this forward this month or quarter? Are we speaking directly or do we have access to an individual with buying power? If not, is our primary contact willing to provide this introduction? Does this initiative have support at an executive level? Why should this prospective client choose us over all others for their business? Does the prospect value our offering in a way that makes us a “must-have” or a “nice-to-have” solution? *BONUS TIP: If the close date on your opportunity in your CRM is April 30, May 30 or June 30, this is a no-no, and you should not be forecasting this as revenue for this month or quarter. Potential buyers are not focused on closing near the quarter’s end. As a last piece of advice, forecasts should not solely be looked at on the 1st, 15th and last day of the month. This is a daily exercise that should be part of your ongoing sales schedule. Keep this in mind, and start asking yourself a few of these 10 questions this week. You’ll be on your way to more accurate sales forecasting and all the benefits that come with it. Need a more accurate sales forecast? Start by asking yourself these 10 questions.